The Mammut 10.0mm Galaxy Protect is a superb single rope for sport climbing and many other types of climbing. The Mammut 10.0 Galaxy Protect is an incredibly durable and abrasion resistant rope, so can be used continuously and for longer, thanks to it’s Protect Coated Sheath Treatment. It’s a fairly stiff rope, yet this goes some way to account for the fact it lasts so well, and the overall handling of the rope is smooth. 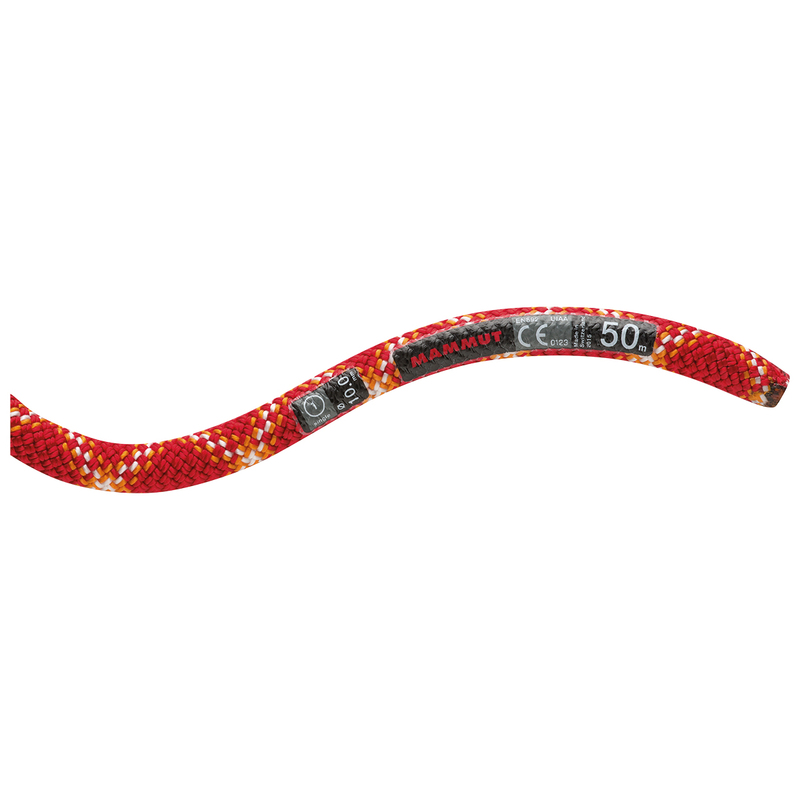 This is a classic climbing rope by Mammut, and ideal for those who need a rope to do its business on repeated climbs. Protect Dry Cover means that the sheath of the rope is dry treated to help prevent the ingress of dirt and water. This ultimately make the rope last longer if exposed to dirt or water but has the added benefit of shedding water during short summer showers. All ropes have a date of manufacture printed on the sheath. If you would like to know the date of manufacture for a certain rope, feel free to ask a Gear Geek via the chat window.